Using disjointed software tools for integration often requires significant custom coding and makes it difficult to assure data quality. On top of that, the lack of an integrated approach causes information silos between departments. Low-code cloud-native iPaaS (integration-platform as-a-service) can help IT break down these information silos, automate workflows, secure real-time access to data and much more. But what will a platform like this cost your organization? And are there any risks involved? 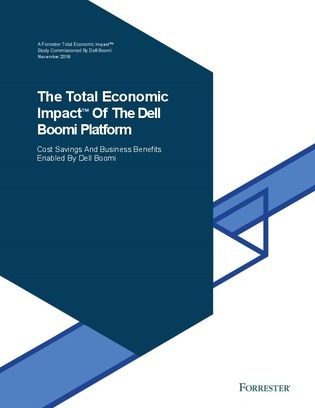 Download this Forrester Total Economic Impact study to understand the benefits, costs, and risks associated with such an investment.